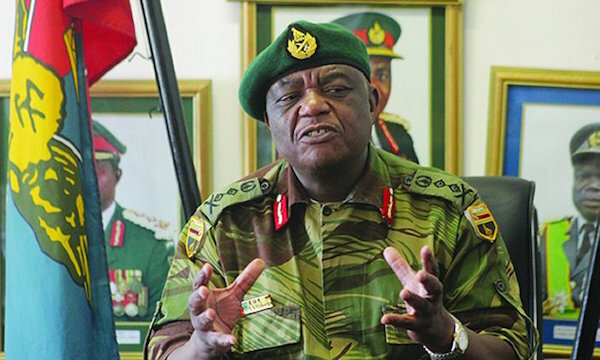 Zimbabwe on Monday announced the retirement of army chief Constantino Chiwenga, who led a coup that ended Robert Mugabe’s 37-year rule, in a move seen as paving way for his elevation to vice-presidency. Zimbabwe’s military took charge on November 15 as internal feuding escalated in the governing party over Mugabe’s succession. The army had said it was targeting Mugabe’s corrupt allies when it seized control, just a few days after Mugabe dismissed his deputy — the current president Mnangagwa — who had strong links to the military and was widely seen as the man who would replace the veteran leader. The intervention was followed by mass street protests and a motion to impeach Mugabe, who on November 21 resigned in a letter to parliament as proceedings to recall him began. The army on Monday said it was ending the operation. “Normalcy has now returned to our country,” Sibanda said. But Sibanda also called on people to watch out for “malcontents and saboteurs” and “remain vigilant and report any suspicious objects and individuals to law enforcement agents. “This is because some of the members of the G-40 cabal that had surrounded the former head of state are now bad-mouthing the country from foreign lands, where their intentions to harm the peace and tranquility that exist in our country have been pronounced,” he said. He was referring to the Generation-40 group that supported Mugabe’s wife Grace in the succession battle. Mnangagwa, the new president, has pledged to mend strained relations with the West and revive Zimbabwe’s moribund economy. He has appointed several military officers in his cabinet, including former air force chief Perrance Shiri, who became the new lands and agriculture minister. And at the party’s congress last week, he appointed a senior military officer to take over as party commissar, a secretary-level post, which has stoked fears of violence ahead of general elections set for next year.